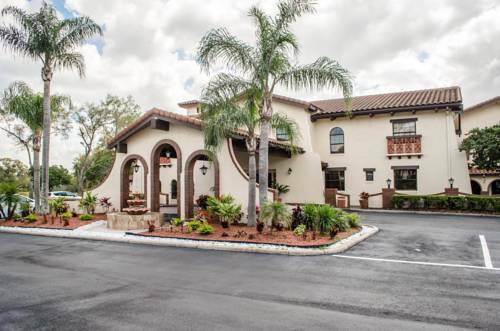 The Quality Inn and Suites Tampa-Brandon near Casino hotel in Tampa, FL gives you real value with peace of mind. We're near Busch Gardens Tampa Bay, Florida Aquarium, Seminole Hard Rock Casino and Florida State Fairgrounds. Our smoke-free hotel offers full-service amenities that include free continental breakfast, free WiFi, an outdoor heated pool, fitness center, safe, guest laundry and a business center with copy and fax. Each inviting guest room features a hair dryer, desk, Q Bed, iron and ironing board. Also, earn rewards including free nights and gift cards with our Choice Privileges Rewards program. Pets are not allowed. This two-story hotel does not have an elevator. Howard C. Tibbals' 3,800 square ft. scale model of the Ringling Brothers and Barnum & Bailey Circus at its 1919-1938 peak. Part of a larger circus museum at the Ringling Art Museum.